SATMEX 6, a Space Systems/Loral-built SSL-1300X satellite, built at SS/L's facilities in Palo Alto, California. Weighing approximately 5,700 kilograms at liftoff, the satellite was positioned at 109.2 degrees West and carries 36 C-band and 24 Ku-band transponders. SATMEX uses the state-of-the-art SATMEX 6 satellite to bolster its telecommunications and Internet transmission capacity for all of Mexico, as well as other parts of North America and Latin America. 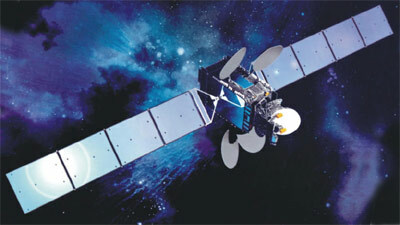 SATMEX was acquired be Eutelsat in 2014 and was rebranded Eutelsat Americas. In May 2014, it was renamed Eutelsat 113 West A.